OK, so I know all I ever make is cushion after cushion after cushion, and I know by now I probably should rename my blog ‘Sew Many Cushions’, but if you ever come round to my house you’ll understand the obsession – and you’ll never want to leave because it’s just far too comfy! We moved into our house almost a year ago and, this year, have finally got round to decorating it how we want. Our living/dining room is now a luxurious plum colour with a matching, damask print wallpaper at one end. All our wood is oak, our furniture dark brown, our accessories cream and our sofa cushions…. pink and red. Do you see the problem? So last weekend I popped into the Remnant House (if you can call a half hour visit a pop) and bought myself 5 patchwork squares in matching colours and contrasting patterns. The result? 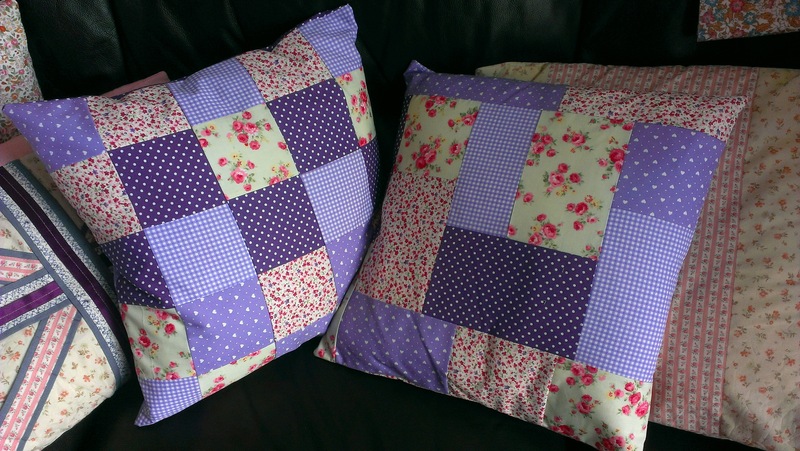 A handful (or sofa-full) of purple, patchwork cushions. Lovely! I made up the pattern myself – the first is just a simple square patchwork and the second I decided to experiment a bit with different shapes. 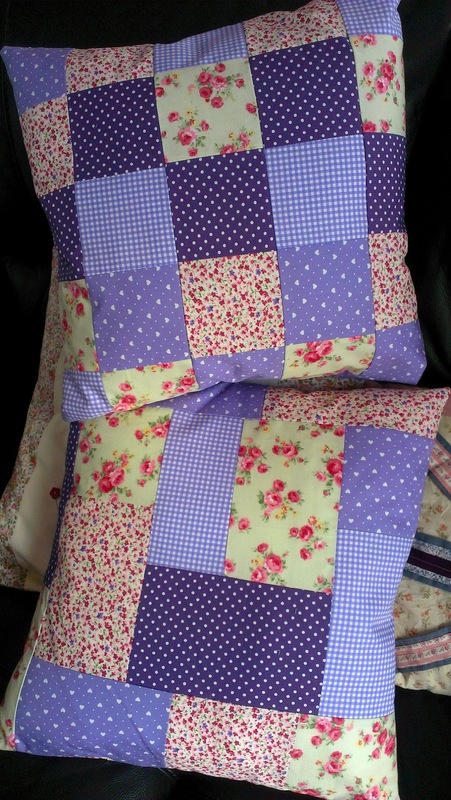 The back of each cushion has an envelope closing made using two of the purple-coloured patterns and a hook-and-eye closure. I’ve even got enough fabric left to make one more, but it’s just too warm to sew! If only we had a garden so I could take my sewing outside! I can relate to a cushion-making frenzy. You might find you make fewer cushions after the first two years in your new house. Each time we move, I spend the first year or two making soft furnishings, etc., until the house is suitably comfy. Then, I tend to slow down. thank you, I really appreciate that! 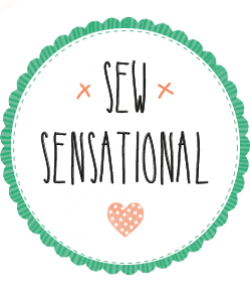 I’ve just been having a good nosey through your own blog 🙂 you also have some lovely fabrics (and a lovely child!). Whereabouts do you live? Thank you! I live in Ohio, a Midwestern state in the U.S. My only experience near your neck of the woods was in 2008 when I visited Brighton and London for a few days!